How does a hoverboard work ? 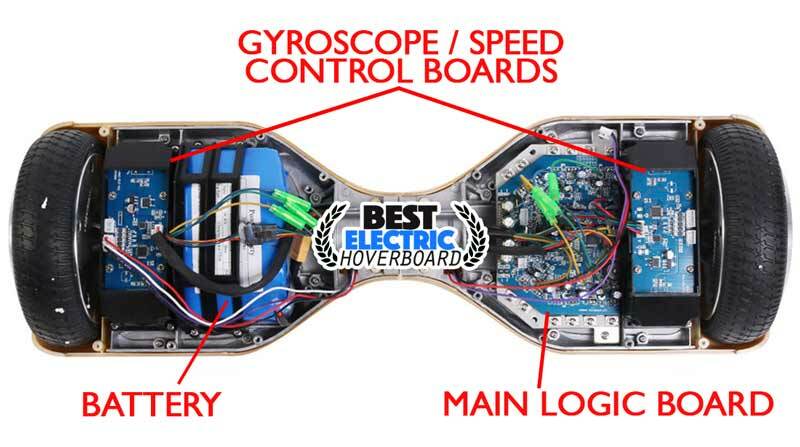 Let’s have a look at what’s inside a hoverboard? The gyroscope and speed control boards receive the rpms and tilt information from the sensor inside the wheels, and they, in turn, send it to the main logic board. When you calibrate your board, the gyroscopes are basically “zeroed”, as in, you’re telling the gyroscopes, “this is flat, hence this is when the hoverboard’s tilt is at 0”. 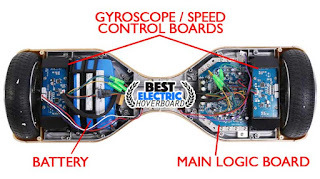 The logic board is the “brain” of your hoverboard, and it’s where the processor computes in real time the status of the board, the speed at which you’re travelling, and the relative speed and tilt of the individual wheels (because, for example, when you turn the two wheels have opposing tilts, and hence opposing rpms and motion). It also controls the power management of the board, and whether you are in “beginner mode” (thereby limiting the max speed of the board) or if the scooter is “locked”. The battery pack is what keeps your board going. There are different packs out there, but the vast majority of them are 36V 4400mAH battery packs. 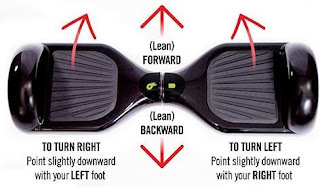 HOW DOES A HOVERBOARD DETECT YOUR MOVEMENT? This is possibly the most clever part of the board: the pressure pads sit on two switches each. 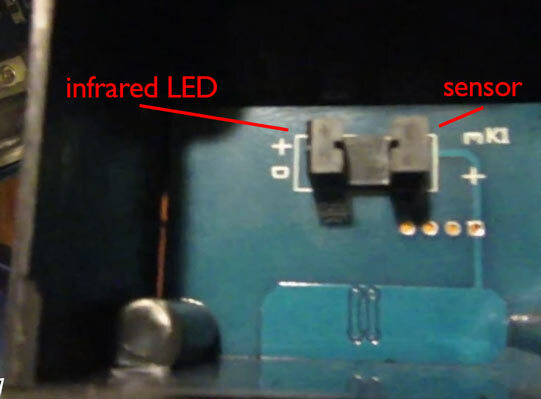 When you lean forward, the front switch is pushed down, and a little plastic “wall” slides in-between an infrared LED and an infrared sensor. As long as the sensor detects the light, the logic board will “tell” the motors to be still. 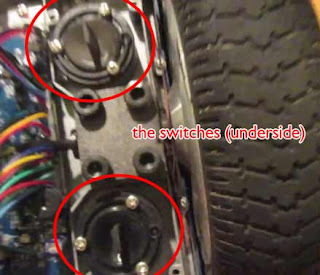 But when the light is interrupted (because of the switch being pushed down by your weight), the board tells the motor to spin in a particular direction. So, for example, if you’re turning left, your foot activates the front right switch, making the right wheel spin forward, while your left foot activates the back left switch, making the left wheel spin backward. It’s very clever. SO HOW DOES A SELF BALANCING SCOOTER BALANCE? The tilt sensors in the wheels tell the gyroscopes how far forward you’re leaning. The gyroscopes relay this information to the logic board. The more you’re leaning forward, the faster the logic board tells the motors to spin, to sort of “catch up” with your center of gravity. It’s this simple (yet very clever) mechanism which allows you to control the cruising speed of the scooter with your weight.